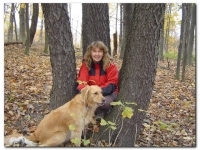 Ball's Falls Conservation Area offers spectacular scenery and natural beauty. Your visit will begin at the Centre for Conservation; a place where you can discover and learn about the area's rich historical past. 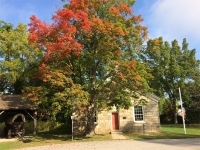 A bicycle SHOP, RENTAL, & REPAIR centre along the Niagara Wine Route. Serving the Niagara Region in Beamsville since 2012. 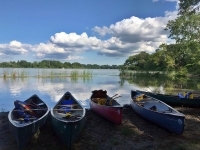 Niagara Nature Tours offers consulting services, speakers, programming, workshops, slides shows, presentations, step-on guiding services, tours, hikes, and walks - from one hour to 1 week or longer. 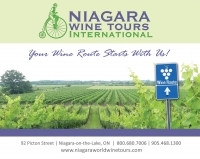 Niagara Segway offers unique opportunities for tours in the Niagara Region. 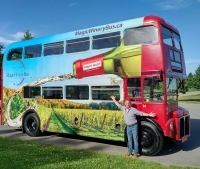 Currently, tours are held at The Welland Canal Museum Complex, Henry of Pelham Family Estate Winery, Port Dalhousie and other local wineries. Situated against the Niagara Escarpment, Rockway Vineyards is one of Niagara’s premiere golf destinations. Rockway Vineyards showcases an 18-hole championship course amongst our own sprawling vineyards. There are few experiences that involve an intoxicating food coma, except at The Good Earth. Our cooking school is located in a picturesque little school building nestled up to the orchards at The Good Earth. Experience firsthand Niagara's unique terroir that creates some of the most memorable wines in the world, learn a little about the region's history, and get a taste for why this region has a reputation as Niagara's hidden gem. The Town of Lincoln Museum & Cultural Centre is under construction. Visit us in Beamsville while our new building is built. 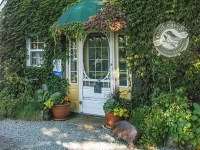 Nestled in the heart of the Niagara Peninsula and is located in the picturesque Village of Jordan.